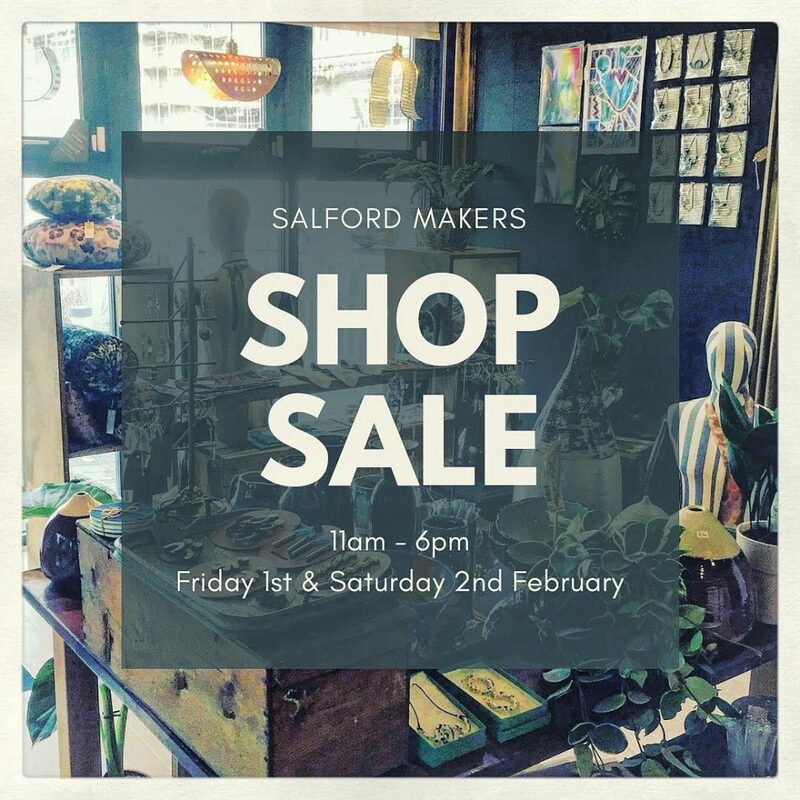 On Friday 1st & Saturday 2nd February 11am – 6pm the Salford Makers SHOP will be open once again for a special one off sale event! Grab yourself some handmade goodness with reductions across a range of products made by artists & makers from @islingtonmill and beyond. New stock additions including one off pieces & extra reductions will be made especially for this event so be sure to call by. Find the SHOP next to the co-op on Chapel St, Salford with FREE onsite parking. Salford Makers also have a programme of new workshops and courses now available to book via their website if you want to get stuck in to some making for yourself.